Suggesting that even Natalie Portman’s scandals are both dainty and kind of dull, this weekend saw a sudden rush of controversy around Portman’s Oscar-winning performance in Black Swan after her ballerina double for the film, Sarah Lane, gave an interview to Entertainment Weekly claiming that the actress had only performed maybe “five percent” of the actual dancing in the film—and that producers asked Lane to keep quiet about it so as not to hurt Portman’s Oscar chances. The American Ballet Theatre soloist says that audiences have been misled about how much dancing Portman actually did—not least by her choreographer and now fiancé, Benjamin Millepied, who said in a recent L.A. Times interview that Portman did “85 percent,” and he’s already sleeping with her, so why would he lie?—but that many of those complicated sequences were actually Lane with Portman’s face digitally grafted onto her body. Of course, people can come up with statistics to prove anything—40 percent of people know that—and Fox Searchlight probably isn’t helping matters by quietly taking down behind-the-scenes YouTube clips that reportedly showed the VFX team superimposing Portman’s face on Lane’s body, thus corroborating her argument. 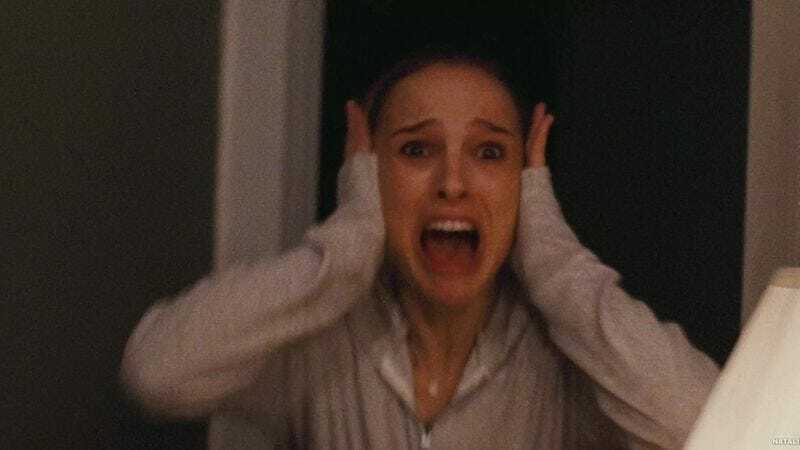 That definitely lends an intriguing aura of cover-up to a story that, for the most part, exists so that entertainment reporters can draw obligatory parallels between the plot of the film and Portman being usurped by her real-life double. But considering Portman won her Oscar primarily for all the other, non-dancing stuff in Black Swan, this “controversy” seems unlikely to significantly sully that—and if all Lane wanted, as she says, was a little recognition, then she’s definitely got that now, many times over. It is, however, slightly unfair to the women Portman bested in the Oscar race, particularly since Annette Bening spent an entire year as an actual lesbian for nothing.